Om hospital is also known as Om nursing home providing world class health care service at affordable cost. It is an ISO 9001:2008 certified Hospital. They have� total 150 beds including Suite & Deluxe and the expertise of over 50 accredited medical professionals in a wide range of specialist field thus bringing quality, integrated healthcare to patient. It lies at chabil, near� bagmati riverside. Norvic International Hospital is�the 1st private�hospital to�introduce the Cardiac Catheterization Lab in the country. It was established in 1994 by chaudhary group. The hospital operates 200 beds and remains a full-service community health-care facility. It is designated as an International Hospital. They have a highly skilled staff of affiliated physicians, full-time and part-time professional health care staff, and active volunteers. Our staff benefit from our commitment to quality, continuous learning, cross training, skills development, fun events and activities, flexibility, balance, leadership and a sense of community. It is one of the top hospital of Nepal, which is established in order to provide better health facilities to the people . Kathmandu Model Hospital (KMH) was founded in 1993� which lies in bhrikutimandap, Kathmandu. It is 18 bed community referral hospital. The capacity expanded to 50 beds in 1995 and additional services were added at this time. Since 2003, KMH has been a tertiary care hospital with 100 beds. Despite limited resources, KMH attempts to make state-of-the art technology available to its clients. It has beliefs that health services� should not be of only in a biomedical context but also in a social context.� It has aim of not only merely curing diseases, but also at removing human suffering. 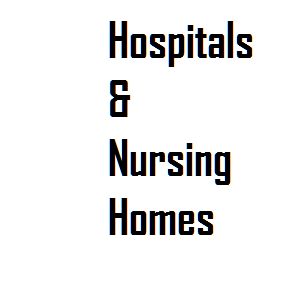 It is one of the service oriented hospital established with the aim of caring people. Sahid gangalaal is� a hospital which provides cardiac care, diagnostic and treatment procedures in Kathmandu,Nepal. It is the first cardiac tertiary center in Nepal. It lies in bashbari, Kathmandu. It�is a full fledged hospital which deals with a wide spectrum of cardiac cases. The centre has established as National referral centre of cardiology and cardiac surgery.�It�is the busiest cardiac centre in the country and is continue to flourish and develop as a model hospital. In spite of patient services, it is also involved in training and research activities. Several programs for the poor patients are going on. This hospital has achieved more than what is defined in 10 th five-year plan. It is one of the cheapest hospital for heart surgery and one of the service oriented hospital of Nepal. Neuro hospital is one of the hospital related to neurology and neurosurgery. It lies in basbari , Kathmandu, Nepal. It is one of the best hospital for Neurology and surgery. Dr. Upendra devkota is the founder of This hospital. As well as he is the main and only doctor to do neurosurgery in the hospital. Annapurna neuro hospital is also one of the hospital related to neurology and neuro surgery. It lies in Maitighar, Kathmandu, Nepal. Basant pant is the founder of this hospital. Among the best neurological hospital this is also one. Manamohan hospital lies in Thamel Kathmandu Nepal. Rajendra pandey is the founder of this hospital. It is one of the service oriented hospital as it doesnot cure a serious illness like of hear patience neuro related patient and all but it cure the other diseases in cheapest price, as it is one of the service oriented hospital established� with the aim to cure people rather than earning profit. It is the hospital lies in the samakhusi, Kathmandu. It is one of the popular hospital, which have the better facilities of modern techniques and skilled or trained employees for better cure of the patience. This hospital provide the better facilities for patience, and is little expensive compare to other hospitals. This hospital lies in dhapasi, Kathmandu. It is one of the top hospital of Nepal, with each and every heath facilities. This hospital uses modern techniques to cure people. Each and every operation , activities are performed in international techniques. It even have heart transplant facilities, which is rare in Nepal. Some of the doctors are imported from foreign too. This is one of the best hospital with� each and every facilities of health cure. The main slogan of hospital is we care to cure. Parkland hospital lies in Pokhara. It provides excellent and qualitative medical care to its patient. It focuses on offering a wide range of consistently high quality and up-to-date medical services that allows us to improve the health of the communities. They serve with compassion and sensitivity of the needs of of patients� and their families. It tries to minimize the cost and provide better facilities for their patients. We are writing this message in regards to 26th European Neurology Congress which is going to be held at Madrid, Spain during August 06-08, 2018. It will be really great if you can circulate the message so that the Neurologists, Professors, Associate Professors, Researchers and Scientists who are working in the field of Neurology, neurosurgery and its related fields so that they can participate and can be benefited from this event. If you have any individual or groups or any teams who are interested to attend Madrid the city of �Bear and the Strawberry Tree” that is located in Spain. So kindly let us know as we are providing you with the best services of registration and accommodation at very best prices. We promise that we will be providing you with good group discounts also on their attendance. Shall be eagerly waiting for your positive response.